The Shuttle's discovery Cody Simpson arrives back in town tomorrow so get set for Cody Mania as he does the rounds of promotional appearances. At the ripe old age of 14 Cody has been steadily building a huge following in the USA but now he's been taken under the wing of manager Scooter Braun. And Braun is the one who rocketed Justin Beiber to stardom with his clever mix of studio producer Usher, choice of songs and the moulding of his image. Justin is now 17 and getting a bit long in the tooth as newcomers like Cody and 14 year old Jack Vidgen dog his footsteps. Simpson was discovered via the same route as Beiber, posting his videos on YouTube. Atlantic records snapped him up in 2009 and moved he and his family from the Gold Coast to LA. His latest release Coast To Coast is no12 in the US charts . Next Thursday he will appear at Warringah Mall and on Friday at the Nickelodeon Kids' Choice Awards. Expect chaos. 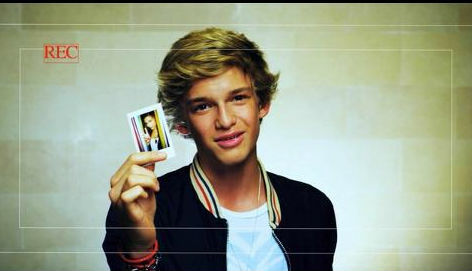 There are plenty of YouTube videos of Cody Simpson but this one is rather nice-singing a song he wrote.